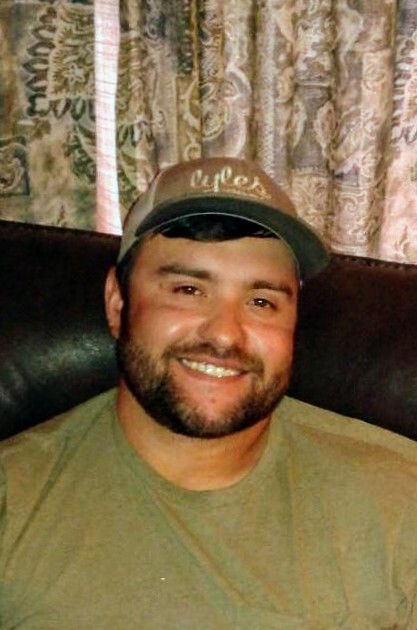 Services for Joseph Alan Phillips will begin with visitation at 10:00 am, followed by funeral at 11:00 am Thursday, March 28th, 2019 at Broecker Funeral Home in Salado, Texas. A graveside service will follow at Holland Cemetery, Holland, Texas. Joe Alan died the early morning of Thursday, March 21st, 2019. He was born October 14th, 1990 in Seymour, Texas to Ronnie Phillips and Rosa Sosa. He attended Munday High School and graduated in May 2009. Joe and Danielle have been a couple since June 27th, 2014. They have been residents of Holland, Texas for almost 4 years. He was an employee of Flasher Equipment Company for 4 years. Joe Alan is survived by his two children Harley Ann Phillips and Kash Alan Phillips with mother Audriana Diaz of Munday, Texas; Danielle Breitenbach and their two children Makayla Reese Phillips, Lexi Grace Phillips and step-son Landon Lane Lalla; parents Ronnie Alan Phillips and Rosa Ann Sosa of Munday, Texas; sister Michelle Amelia Phillips of Austin, Texas; brother Brandon Lee Sosa and wife Natalie Jean Sosa of College Station, Texas. He is preceded in death by grandfather Joseph Lynn Phillips and grandmother Amelia Reyna Sosa both of Munday, Texas. Many things could be said about what we loved about Joe Alan, but there are two points that standout to all of us that know him. He worked hard, and he loved his family especially his kids. He welcomed the company of others whether friends or family, and if he was home and there was time, Joe was going to cook. With music going and a beer in hand, you would hear his distinct jovial laugh. To say that Joe will be missed is an understatement, but to know he is loved by us all, hopefully that will be the first step in helping us mourn our loss.